Home » Archive by category "Teaching Assistant Courses"
Some Teaching Assistants may be considering a move into teaching. To qualify as a teacher, one needs to obtain qualified teacher status (QTS), by passing a series of assessments. Part of the assessment requires trainee teachers pass the QTS Numeracy Skills Test and the QTS Literacy Skills Test. Some prospective teachers can find it a little daunting revisiting maths, but there are numerous help guides available. 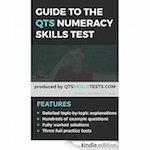 Tom O’Toole, author of Guide to the QTS Numeracy Skills Test, is offering his new ebook free this week (24th – 27th February 2015). The ebook is packed with typical questions asked in the test, with answers and explanations. Also included are top tips and practice tests! If you think this ebook may be useful, download it for free this week (24th – 27th February 2015). Tom O’Toole is interested in knowing more about teaching resources, so if you have any suggestions – links, organisations etc – please comment below. If you are interested in becoming a teaching assistant, the first step is to find out the criteria of the Local Authority, for example whether they will expect you to have a relevant qualification or some practical experience. If the Local Authority doesn’t have specific criteria, you can decide on how best to prepare yourself for the role. However, whether you decide to enrol on an official course or not, getting some hands-on experience, either through voluntary work or a course placement, will be really valuable. Firstly, it can help you check whether you enjoy working with children in this capacity, and whether your skills and personality are suited to the role. Secondly, watching other Teaching Assistants or the classroom teacher interact with the children will provide you with really useful training and ideas for how best to support the children you will be working with in the future. And lastly, having practical experience on your CV shows potential employers your enthusiasm for the role and that you already have experience working with children. You may even find that the school you are working in has vacancies in the future which you are well placed to apply for. Doing a work placement as part of a course can be particularly useful and the course leaders and material will help you get the most out of your placement. Course leaders will also potentially provide feedback to help you improve your skills. Whatever route you choose, finding out as much as you can about what being a Teaching Assistant is like, in theory and in practice, will help you decide whether the job is the right one for you, and help when it comes to applying for vacancies. 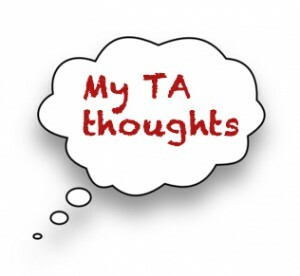 Kathryn Arnold previously wrote about the challenges of her Teaching Assistant course. In this post, Kathryn discusses her favourite modules and why. When studying for the ‘Level 3 Teaching Assistant Diploma’ via Stonebridge Colleges, one of the modules that particularly interested me was ‘Supporting pupils with Special Educational Needs’. I have always wanted to specialise in this area, and whilst Stonebridge Colleges do offer a specific course for SEN teaching, I wanted to also learn how to work with mainstream children and how a mainstream school works as a whole. I was firstly interested in studying the factors that may affect learning, for example; hearing problems, sight problems, attention span and maybe even family life at home. I learnt about ways to deliver equal opportunities to all pupils, and prevent barriers to learning. I feel a Teaching Assistant going into a school environment already knowing how to tackle potential learning barriers is so important and makes you successful at your job. All these roles, alongside the class teacher and the Teaching Assistants, can provide equal amounts of support to these pupils. You never know, you might learn that another role suits you better! I think that knowing about everybody’s role within a school environment ensures great communication and support for the pupils. You will also learn about resources available for pupils with Special Educational Needs, for example; Braille for blind pupils/pupils with poor vision, alternative keyboards for pupils with poor motor skills, and technology to maximise hearing. I found this information very useful, and it prepared me for resources that would have confused me had I not have learnt about their purpose. Another extremely useful subject I learnt about during this module was case studies for pupils with Special Educational Needs. You can expect to feel totally confident going into a job in a school knowing that this is something you can contribute to. The module offers revision on how to write them, what they should include, the objective of a case study and the school guidelines on confidentiality. Knowing all of this information means that teaching staff can entrust you to do this job with ease! Case studies are a fantastic way to ensure the pupils needs are met, that they have learning outcomes and an appropriate challenge for their ability, and the learning experience and provision are suitable for them. If a pupil with Special Educational Needs is placed in a mainstream school, this should not affect their learning and they should feel comfortable and be able to meet targets in that provision. The exam paper for this module contains 6 questions, each requiring at least a paragraph for an answer. This particular module, in my opinion, required the most writing and I think this is mainly because of all the legislation that goes hand in hand with Special Educational Needs. The main requirements for the questions are to describe, explain or outline certain aspects of what you have learnt. As I’m sure you can imagine, this means a sentence is just not going to cut it! Each question weights 5 marks, and therefore I always think it makes sense to raise 5 points/ideas. You most definitely have to refer back to your notes, use your brain and enjoy what you are learning about in order to pass this module. It is obviously important to fully understand, and I found the revision absolutely valuable to what I want to do with my life. I passed this module, which I feel hugely down to my genuine interest in the subject as it wasn’t easy. Finishing the module helped me feel prepared to work with pupils who have Special Educational Needs, and I really felt I could support them in preventing barriers to learning, and ensuring a great learning experience. Kathryn Arnold is studying for a Level 3 Teaching Assistant course. She discusses her journey and how she finds communicating online. The qualifications acquired at the end of Kathryn’s course are the Stonebridge Associated Colleges: Teaching Assistant Diploma and Level 3 Teaching Assistant Award. I was initially impressed by the content of this course, and upon checking it was legitimate, I decided it was the one for me. I found the syllabus exciting, and I liked how I could do it at my own pace. Another great factor is you have a personal tutor on board who you can email at any time you may get stuck, and who will mark your exams. The cost of this course was affordable and seemed standard across all available courses online. The duration is really depends on your lifestyle. For example, as a full time mother, with her own small business and a constant mountain of ironing on the go, it has taken me just over a year and I am now about to complete my final exam. For me, this relieves the pressure of deadlines, and fitting revision in to my weekly schedule. The college does offer a calculator on their site, in which you can type in how many hours a week and it will tell you roughly how long the course will take to complete. The course is available as an online study, or paper format which means the papers get posted to you. I chose the online study option, because I personally find it much easier to work that way, but it really depends on your learning style. Upon receiving my student login details and exploring the student site, I opened up my first assignment. There is no right or wrong way to revise here, whether you prefer to print the revision and highlight section, or write out pages of notes – it’s totally up to you. I found myself doing a mixture throughout the papers, dependant on my mood!! Each assignment contains tons of information, focusing on things like; methods that the Teaching Assistant could use within certain situations, factors that could affect learning, the learning environment and tools used within that, adhering to the correct laws and legislations, helping pupils develop, and ensuring their safety. There are many more elements to the course, but those are just a few examples of the sort of thing you can expect to learn about. Once you feel that you have revised sufficiently, you can do your first exam. The exam contains 5-6 essay questions in which you will be expected to write at least a paragraph on each question. You have, of course, always got your notes to refer back to, however you will also be expected to have an input on activities/methods you as the Teaching Assistant could use, for example; when learning about measurement and mass, pupils can differentiate between a weight held in each hand (a sentence from my own exam on supporting numeracy development.) Once you have sent your exam paper off, the tutor will usually mark within a few days and send back your grades. Unfortunately on a few occasions I have never received mine and have had to chase them up! I have recently discovered though, that your grades are automatically submitted to your student page as well, so all hope is not lost. This does however mean you don’t get your feedback – just pass or fail. I have, so far, passed each module, and I particularly liked receiving feedback on how they thought I was getting on. The final exam paper is extremely daunting though and I am currently plucking up the courage to start it! It involves a huge summary of all the modules and the main points that have been learnt throughout the course. This exam would require a long essay, so a lot of using notes and putting in the hard work and effort. I will feel a huge sense of relief when it is finished! The course as a whole is excellent for anyone who likes independent learning, and no deadlines! Initially, as a young mum I thought the cost was quite large, however in hindsight it really is worth every penny. The communication between tutor and pupil could be slightly better, but it hasn’t really affected my learning. I would wholeheartedly recommend the course, for anyone who has the drive to succeed, a good initiative, and commitment. The course will fully prepare you to work in a school environment, even without work placements on offer. I personally have childcare experience, but if you don’t you could always volunteer in a school if you think it’d help you along the way. I’m hoping it will improve my job prospects and make me more employable. Karen Smith is a TA in the making. Her account documents the struggles with changing careers, starting a new course and the excitement that has followed. Last summer, I decided to become a Teaching Assistant. My sister is a science lab technician at a local secondary school and told me there were always TA positions being advertised. I’ve always been good with children, especially when they’ve been challenging, so I figured I’d be good at the job. Plus, I had worked as a graphic designer for so long, I was starting to get itchy feet. I enquired about any open positions at the school, but was told the minimum qualification they would accept is a Level 2 QCF or equivalent. This came as a shock because I already had A Levels and a degree in Biology. It was also apparent that the school was not hiring good enough TA staff as turnover was pretty high. Were they only going to accept those with a ‘Level 2 QCF’ qualification? I dug deeper and discovered many schools in the area were requesting the same qualification as a minimum. Frankly, I had no idea what a Level 2 QCF was! I briefly read through the course information and glanced through the unit headings. No need for more study, I thought, so I reconsidered the change in career and resumed normal life. Those next few months were tough. The more I thought about becoming a Teaching Assistant, the more I yearned for a change. My job had become stale and uninteresting and I started to feel trapped an uncreative. I’d get up for work and feel an absolute dread. The money was good, yet it didn’t seem to fill the gap inside me. I looked up those course details again and wondered if I had been hasty all those months ago. Suddenly, the course content looked really appealing. The emphasis was on child development and safeguarding their welfare. Yes, it would mean studying again for some months, but the subject matter was really up my street. Even if I decided not to continue with a TA career, surely I would have learnt a great deal about how children develop? I’d learn how to communicate properly with children and apply it to my own offspring one day? I browsed through a number of online courses and settled with a Level 2 Certificate in Supporting Teaching and Learning in Schools. This appeared to be the most popular of them all and the local schools nodded their heads in agreement when I visited to discuss my options. Suddenly, there was a spark inside of me. I was going to study in the evenings while working, but arrange a work placement during a sabbatical period. That was 4 months ago and I’m now well into my course. Sure, it’s tough trying to squeeze everything in. I barely get time to watch TV or talk to my partner! But it’s only for the short term. The work I’ve already done at my local school has raised eyebrows and I’m being pencilled in for future roles. I am really excited about my future. Somewhere along the way, I had become complacent and comfortable with life. But as I approach 30, I want to be proud of my achievements. Is it cheesy to say I want to ‘make a difference’? Of course it is! But I’m saying it with a big smile on my face! Stephen Myers is a teaching assistant for a primary school in the West Midlands and has written a guest post on the challenges of working with SEN students. “Seven years ago I decided to change my career path and, after much deliberation, settled on a training course to become a teaching assistant. As inferred, it wasn’t a split decision and there were a number of factors involved in the process. My daughter’s school friend is autistic and my daughter had told me about the wonderful job her friend’s teaching assistant had been doing to help support her in mainstream education. I had been a cab driver for several years prior to my decision, but it was time to find something meaningful in life. Something that would make my daughter proud and a job that could enable me to work around my primary job as a single parent. But I was worried about being one of the few percent of male TAs. I worried about what my friends thought and whether I was actually up to the job of working with young people. The process of finding a teaching assistant role back then wasn’t too difficult. I volunteered here and there for several months and completed a few courses and suddenly a TA role surfaced to help support some new TA students joining the school. The students begged me to take on the role, which I did and I haven’t been happier. I got ribbed by my cabbie colleagues for a while (I was still working part time at the cab office), but when they saw how I had changed and grown, they supported me fully. I was also initially taken aback by how few male teaching assistants there are and felt a little intimidated working with so many (talented) women. They took me under their wings and I became the little brother of the family! I love my job and I wouldn’t want to do anything else. In the last seven years, I’ve improved my knowledge by taking further specialist SEN courses and I’m looking at working in a special needs school at some point in the future. I know I’ve been a great role model for a number of students I’ve supported – all through understanding, listening and injecting a little sense of humour into the mix. Some male students often find it difficult to communiate with female members of staff about personal problems, which I’ve helped them overcome. Some of us may find we want to pursue a course, but are struggling with the financial strains of every day life. Many charities recognise this and are happy to help out financially with bills, clothing, living expenses and course fees. 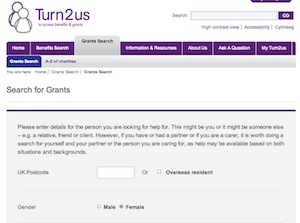 Turn 2 Us is an organisation which provides information on benefits and grants. Simply follow the link below to add your postcode, gender and age to find out which charities in your area can help.